Use our Fish Stocking Schedule to learn where, what type, when and approximately how many fish Idaho Power will be releasing. 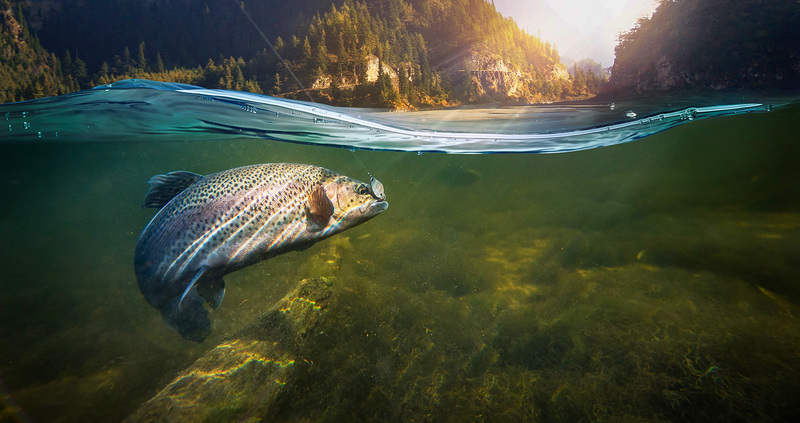 As part of the mitigation requirements associated with our federal licenses in the middle Snake River, Idaho Power annually stocks rainbow trout as a means of improving sport fishing opportunities. Rainbow trout are stocked in American Falls Reservoir, several locations in the Hagerman Valley and C.J. Strike Reservoir. View the Rainbow Trout Stocking Location and Fishing Access Map. In addition to stocking rainbow trout, we also stock channel catfish annually in Milner Reservoir. Other stocking efforts include adult steelhead and spring Chinook salmon that are surplus to hatchery needs. Hatchery steelhead and spring Chinook salmon are trapped at Hells Canyon Dam as part of the Oxbow and Rapid River hatchery programs. Once sufficient numbers are trapped for the hatchery program and other fish management needs, some surplus fish are made available for stocking into the Boise River, Powder River and Hells Canyon Reservoir. This stocking program is managed cooperatively by the Idaho Department of Fish and Game and the Oregon Department of Fish and Wildlife. All fish planted by our stocking programs are managed by the Idaho Department of Fish and Game and subject to licensing rules and regulations for those specific waters. For information about fishing seasons and licensing requirements, visit Idaho Fish and Game. To evaluate some of the rainbow trout stocking programs, many of the rainbow trout are fitted with one or two metal jaw tags. Information obtained from catching these tagged fish help our researchers determine success of the stocking programs. Learn more about jaw-tagged rainbow trout.